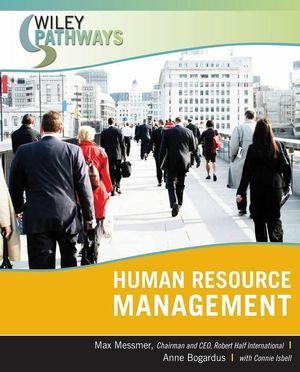 Wiley Pathways Human Resource Management walks readers through the steps involved in managing the most important component of a company - its employees. The skills-based approach covers everything from designing a new position and the interview process to administering benefits and managing workplace safety so students will be able to apply their knowledge in a professional setting. Harold "Max" Messmer Jr. is Chairman and CEO of Robert Half International, the world's largest specialized staffing firm, and one of the foremost experts on human resources and employment issues. Pre-test: Pre-reading assessment tool in multiple-choice format. Introduces chapter material and helps students get an idea of what they know and where they need to focus their efforts.